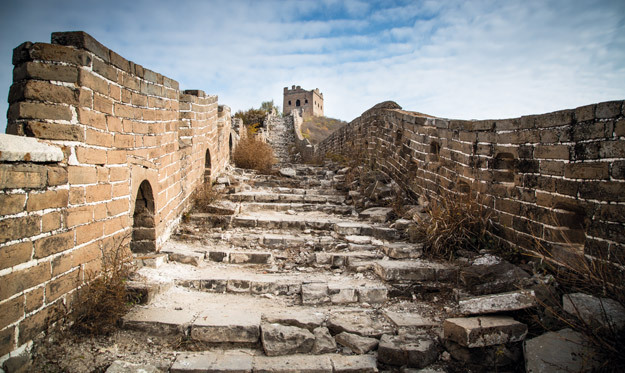 Ahead of the release of the epic action-adventure fantasy movie ‘The Great Wall’, we have compiled a guide to the different sections of the Great Wall, highlighting the different ways travellers can experience the famous UNESCO Heritage Site on one of our China tours. ‘The Great Wall’ is the first English-language movie shot by acclaimed Chinese director Zhang Yimou, who is best known for the epic films ‘Hero’ and ‘House of Flying Daggers’. The film was shot completely in China with a cast including Matt Damon, Andy Lau, Jing Tian and Willem Defoe. The plot centres on the legend of Taotie and a number of monsters who scale the Great Wall every 60 years to feed. 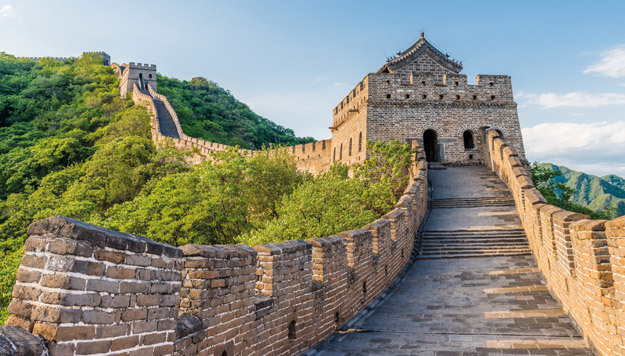 The Great Wall of China is arguably the most recognisable landmark on Earth and on a tour of China is the first thing travellers want to tick off their list. 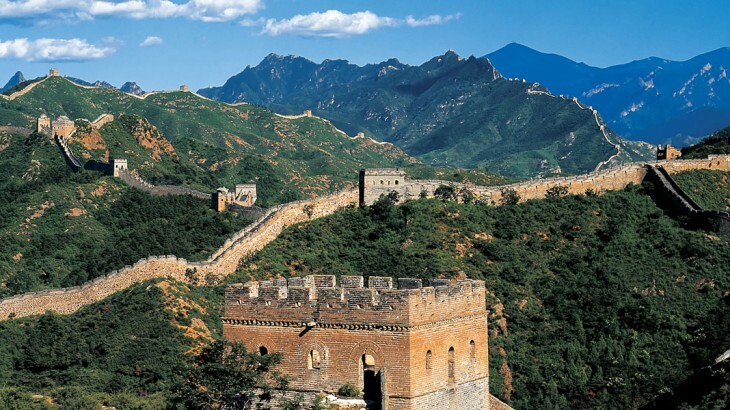 What’s more, the Great Wall is celebrating 30 years as a UNESCO World Heritage Site. Below we have showcased the different ways you can experience the different sections of the Great Wall. Draped over a great mountain pass, Juyongguan is one of the closest sections to Beijing – just 31 miles. 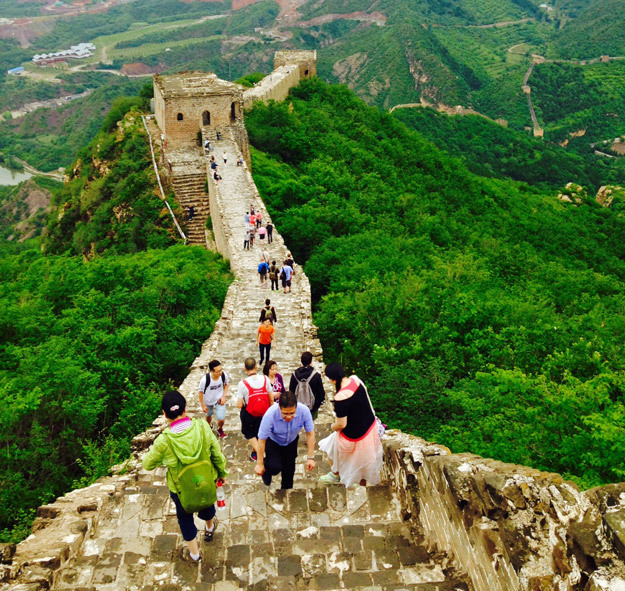 This popular section was built during the Ming Dynasty over the 5th century ruins of a previous wall. Due to its important strategic location, it has been restored frequently over the years. Traversing a huge valley, the wall is easily accessible by most people as it does not require any step-climbing – just simply walk on and walk as far as you like! The Juyongguan Great Wall features on most of our Classic Group Tours including our popular 16-day Wonders of China tour. 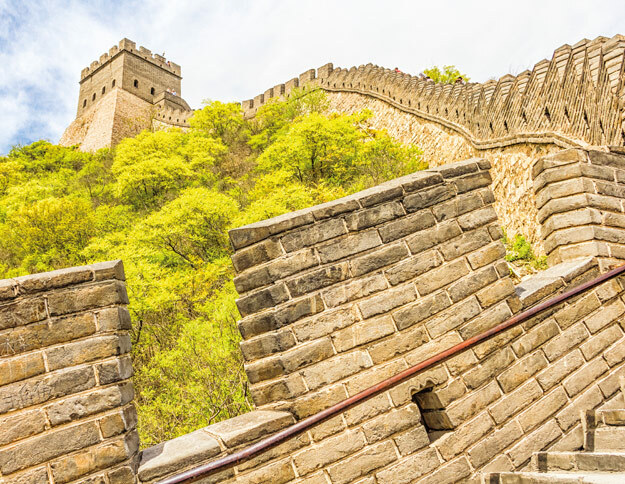 In this section, travellers can put themselves into the shoes of those who walked this incredible structure hundreds of years ago as they hike for approximately six hours from the Gubeikou to the Jinshanling section of the Great Wall. This trek follows stretches of restored and unrestored parts of the wall, giving guests the chance to breathe in the dramatic landscapes along the way. This route is available on selected Discovery Tours including the 17-day A China Adventure tour. For those looking for something different, you can witness the Great Wall emerging from a lake! Huanghuacheng snakes through the hills about 40 miles from Beijing and is known to be particularly picturesque due to the lake below. Built in 1575 and just partially restored today, this is the perfect place to get an idea of the wall’s original structure. Climbs can be steep, but conquering a pass not only instills a great feeling of pride, it also gives wonderful views over the surrounding landscapes. 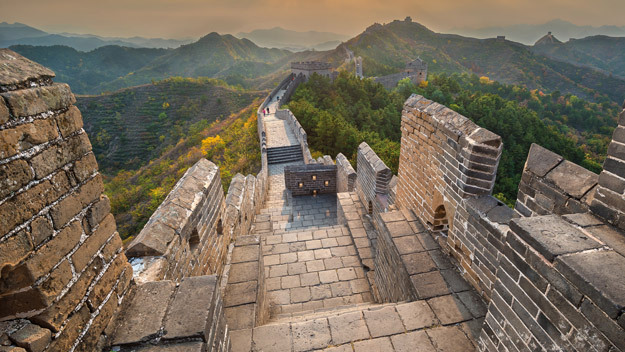 Travellers can explore this part of the wall in our new 17-day Enchanting China tour and our 21-day Land of the Dragon tour. Those looking for a luxurious way to visit the Great Wall can enjoy the chance to sip Champagne on the beautiful Mutianyu section with Wendy Wu Tours. Travellers can take a cable car to the top where they can admire the views of the wall as it snakes over craggy peaks and breathtaking woodland. This is one of the best preserved sections of the wall and is renowned for the classic watchtowers that dot the landscape. This experience can be found in our new 5* luxury 18-day China & Spiritual Tibet tour. Taking a 2 hours to drive to from Beijing, Simatai is more than worth it for its incredible sunsets. Reached by cable car followed by a short walk on the wall itself, Simatai affords incredible views as it snakes north through dramatic valleys and ridges to Jinshanling. Part-renovated, the wall offers a challenging climb further up the mountain. For those wishing to just take it easy and enjoy the sunset, the walk is easier. Travellers can enjoy the magnificent sunsets at Simatai on our active 15-day China Explorer tour. 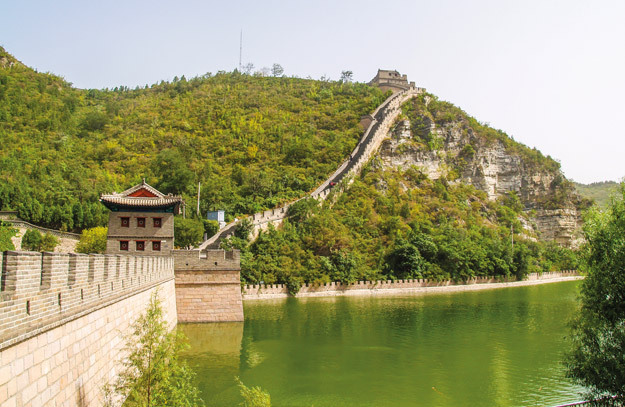 At the moment, it is only possible to hike from Gubeikou to Jinshanling on our China Adventure tour, but for those customers wishing to do this hike in conjunction with another tour, we have created a ‘Great Wall Hike’ pre-tour or post-tour extension. This extension can be added to any tour starting or finishing in Beijing. Please visit Wendy Wu Tours’ website for more information! All the above information can be found in an online booklet – share it with your friends! Book a tour of China and tick the Great Wall off your bucket list with the UK’s leading China Experts, Wendy Wu Tours. China history, photography, sightseeing, top things to see, unesco heritage site. permalink. still no Harbin ice festival on any of your tours ? Hi Chris – we can offer this as an extension to any of our tours, especially our Chinese New Year tour. Our tailormade team can also add Harbin to an itinerary for you.